Peaches Stanton is a world-class entertainer who is known for jet setting across continents spreading the joy of blues. Here we find her standing as the last blues artist to do a live recording at the original Buddy Guy's Legends. This offering gives the listener a chance to feel as though they have a V.I.P. table, front and center at the party - and boy what a party it was! "If a nascent label ever had a break out artist on their hands right out of the box, this is it. A killer date that blues fans will love." "Peaches is a ball of energy. Her gospel tinged vocals are powerful anf full of emotion! " "Between the vocals and the washboard she can do no wrong. Peaches is having so much fun on stage it effects the crowd and pretty soon everybody is jamming "
"This woman is a class act. 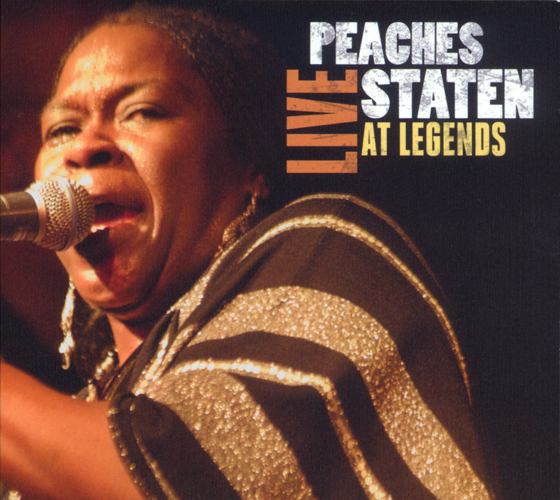 She doesn't rely on the big mama belting stuff, Peaches sings from the heart, Her warmth and charisma spreads throughout the room and her voice is like a heavy spring rain, powerfully refreshing. "